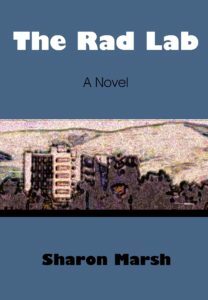 Set in the early seventies to mid-nineties, The Rad Lab is a novel about the rapidly changing environment of Lawrence Livermore National Laboratory in Livermore, California, a generous employer involved in nuclear research and other scientific endeavors. Inspired by the author’s observations and experiences over a thirty-year time span, it is by turns a quirky and soulful account of a diverse collection of characters maneuvering through the minefields of workaday life and romantic pursuits that often take them beyond the Lab’s campus. The story begins when Sandra Dillon, the flawed protagonist, is cast out of the giant Engineering Department through her own error despite and because of affirmative action policies that are gathering steam at every level and challenging long-held expectations and roles. Vowing to redeem herself, she is rescued by the manager of security and begins working alongside armed personnel in uniform and business suit going about the serious and interesting business of keeping the institution secure in accordance with Department of Energy regulations. 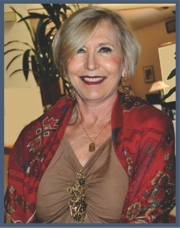 Then one fine spring Saturday morning she shows up for work to discover the unwelcome surprise of her new, well-liked and much-admired boss in the building. A peek inside the Rad Lab of the sixties would reveal among its 3000 plus employees an all-male, sworn police force protecting it, women office workers in skirts and dresses, IBM Selectric typewriters, telephones with clunky buttons, mainframe computers taking up acres of space, scientists clutching slide rules, and ashtrays as a Stores item. There are no women in management and promotions are done by inside recommendation. Every employee from the craftsman to the director must undergo the “Q” clearance process in order to continue working there. Joyful when notified by the Badge Office that the clearance has at last been granted, the newly cleared would rush over to trade the red badge for a green one, then abide by the long-held tradition of bringing in donuts the next day for all his or her coworkers. There is no driving onto the site, and Sierra Lines buses from all over the East Bay are lined up in the West Parking Lot waiting to take the outlyers home. None of that is true today nor will it ever be again.